The softer formulation of TEMPUR material that delivers a balance of soft comfort with responsive support. Premium knit technology for superior cool-to-touch feel. 1000+ premium spring coils designed in-house to work with our material. The King 11" Tempur-Adapt Medium Hybrid Mattress by Tempur-Pedic® at Miskelly Furniture in the Jackson, Pearl, Madison, Ridgeland, Flowood Mississippi area. Product availability may vary. Contact us for the most current availability on this product. The TEMPUR-Adapt Medium Hybrid Mattress, introduces a softer, better feel, at a value price point for a premium TEMPUR Mattress. Topped with a Cool-To-Touch Cover, with Premium Knit Technology which stretches allowing you to get the full benefit from the Tempur Material. The top layer of TEMPUR-ES Comfort Layer, provides a softer feel working with the TEMPUR Support Layer for personalized comfort and support. The support core is made up of over 1,000 premium spring coils independently encased, designed in house to work best with the Tempur materials. A dense foam encasement borders the coils providing a firm edge support. 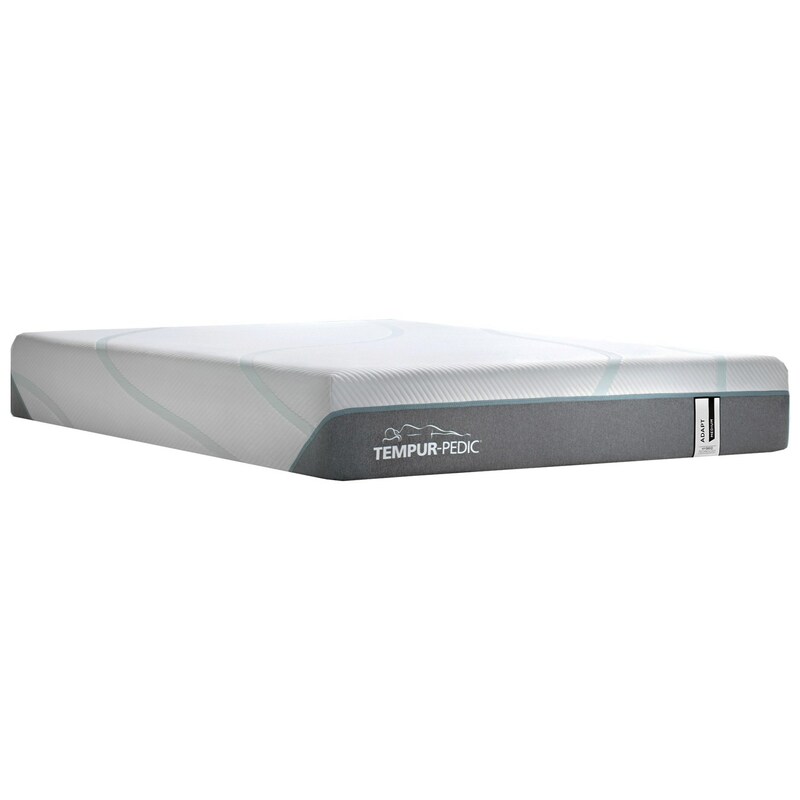 The TEMPUR-Adapt Medium Hybrid collection is a great option if you are looking for Mattresses in the Jackson, Pearl, Madison, Ridgeland, Flowood Mississippi area. Browse other items in the TEMPUR-Adapt Medium Hybrid collection from Miskelly Furniture in the Jackson, Pearl, Madison, Ridgeland, Flowood Mississippi area.